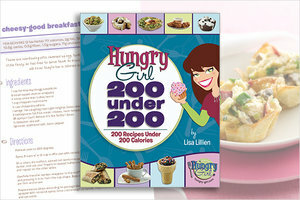 Get ready for yum-tastic recipes in an easy-to-use cookbook... 200 Hungry Girl recipes under 200 calories! Told with Lisa's signature wit and sassy style, these recipes are as fun to read as they are to make! Egg scrambles, salads, mini meals, cupcakes, creme brulee, and more... each with less than 200 calories.